Margaret’s father suffered a massive stroke on the Christmas Eve and had to undergo an Angioplasty. She had to withdraw money for the surgery but was unable to recollect the card pin. A decade ago, one has to be vigilant about the bank working hours, wait for days, and follow many business procedures in order to reset a new password. Whereas now, everything can be done in an instant and is within the grasp of our hands (provided you don’t forget your phone lock: -P). This extensive monotonous task of credential verification and pin regeneration is done by the Robotic Process Automation. This technology clubs Artificial Intelligence with Machine Learning technique to build smart robots “Bots” or “Robo-advisors”, to perform without human intervention. Bots are smart software programs that are built to handle tedious repetitive tasks within a short span of time and under minimum human supervision. Bots are built with a predefined set of rules that has to be repeated over a large volume of data for the consistent flow of business processes. Previously, this has to be done by humans consuming time and labor. With the help of RPA tools, all these can be done by machines within less time and more accuracy. RPA software increases productivity and provides accurate results over an extensive set of data thus saving humans from monotony and underemployment, and the enterprise from time and money. RPA is a progressing technology, running for more than a decade around us, gaining huge importance in the recent years. 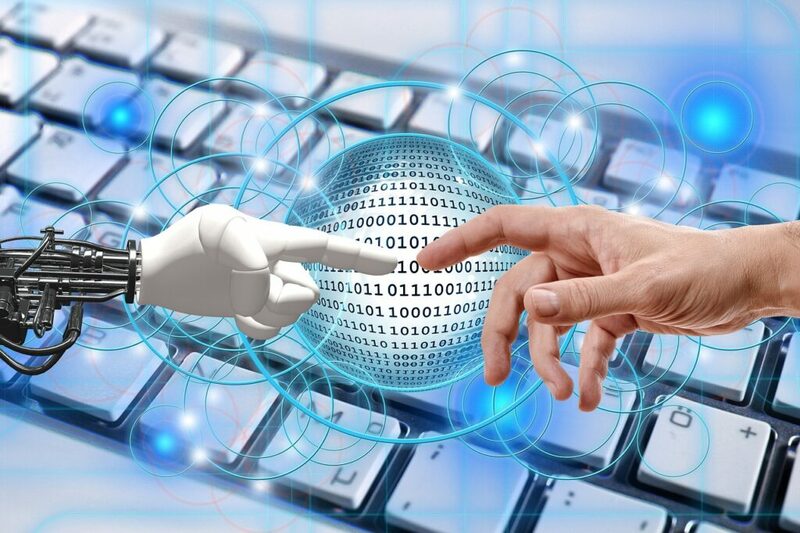 McKinsey has reported that by 2025 automation technologies such as robotic process automation (RPA) which ease the business process management, will have a potential economic impact of nearly $6.7 trillion. Blue Prism, Automation anywhere, EdgeVerve, UiPath are some of the leading tools used for the automation of business processes. As easy as it sounds, building and automating any business process has its own difficulties. The following are some of the aspects that make the Robotic Process Automation an extensive and exhaustive task. Robotic Process Automation is an evolving technology and the problem comes in identifying the right resources to form a team. Prior to this, an organization has to train them on the various tools to develop the bots. A recent study suggests that there is a shortage in acquiring a competent candidate in the field of RPA, as it is a niche skill and requires a lot of exposure to build the bots. A clear segregation of the responsibilities and dedication from both the local and maintenance team is essential for the continuous business flow, as most of the automation processes are outsourced or has cross-functional teams working simultaneously on the various processes. A good RPA software can be built only with an efficient team. Most of the RPA applications fail right through the RPA implementation stage due to improper business planning and lack of design strategy. Bots are software programs which need a lot of installation and licensing that relatively needs more money. The application needs a human to build these repeated tasks based on predefined rules. Essentially, one has to decide whether their business really needs RPA implementation considering their revenue and target. A process has to be automated only if the business has to be run for a long duration and can fetch good returns. Automating a low valued task that can be easily covered by skilled labor might not give satisfactory Return on Investment. Given the RPA implementation and licensing cost, one has to persuade the higher officials and stakeholders that a particular business needs automation and worth the expenses incurred. All the departments, right from the top CEO, stakeholders, finance and IT folks, have to be consulted and given a detailed walk-through of the activities involved in the automation and get approved even before the RPA implementation. Many times, dealing with legacy issues and implementing the bots prove to be more exorbitant than employing the necessary human power to handle the business processes. A proper pitching to introduce the automation approach over the expenses is quintessential for a proper system to succeed. Once the right candidates and team is found, one has to formulate and strategize which jobs have to be executed regularly. These processes have to be in a simple, structured, and definable input format. Only then it can be fed into RPA tools. Choosing a complex task can lead to many hidden errors while choosing an insignificant task results in a poor outcome. These tasks involve less human decision making and have to be reproduced for consistent business workflow. The main drawback of RPA is that it works well only with structured data and becomes unattainable with unstructured data. RPA doesn’t work well with inconsistent undefined rules, meaning it can only handle pre-defined exceptions. Very few robotic automation tools in the market have successfully been able to overcome this major deterrent. DataStudio is one such robotic automation tool that handles both semi-structured and unstructured data and enables to synchronize and harmonize all the processes into a single workflow. There is a huge possibility that an error might go unnoticed within the huge transaction if there is no condition defined. For instance, one can automate the invoice and update the customer on various shipment details and cancellations. But any mistake in the invoice can go unnoticed if not triggered by the pre-defined rules. Over the years, there are many RPA software vendors that produce their own tool that selecting the right RPA tool has become a nightmare for many businesses. An ideal RPA tool must have the following features. Fetch quick returns in a split second. The best Robotic Process Automation application should have multiple bots to handle various workflows with good ROI and less error rate. One should access whether these bots need dedicated data centers or can be maintained in the cloud. When handling a high volume of data, it becomes a tedious task to find the exact location when an error occurs. A good RPA application should have competent built-in error handling mechanism to ease the flow of business. They have to have an activity log file that helps the RPA implementation and support team to identify the root cause of the exception. These log files help in audit and monitoring the overall process to maintain organizational regulations. For instance, once a flow is established with a set of rules it becomes highly undesirable to revisit and extend the flow. Another task has to be formulated to improvise the task. Since the bots have to deal with a large amount of data, they too need a large storage space. With the constant change in the rules of the business, the maintenance of the RPA applications becomes cumbersome as they too have to be customized accordingly. Even though they are automated, Robotic Process Automation application is still a software and needs a competent corporate team to support and maintain the application round the clock. The application can be installed and operated on a timely basis. Even then there has to be proper IT team to inspect and sustain the consistent workflow. The organization should have realistic measurable targets and develop a plan accordingly. First, they need to examine what all processes have to be automated and segregate the workflow. Every organization desires an instant ROI. Trying to achieve an end-to-end automation can be more time consuming and complex. If the business requires constant change and more time then, automating the process will prove to be detrimental as it will only prolong the business progression. The RPA application should produce quick results for the user while computing between various tasks. Or else it will lead to customer dissatisfaction and retention of users might get difficult. Most of the repetitive tasks like payroll and order processing involve confidential information (passwords, personal, and financial information) and needs to be well protected. A good RPA application should have good data abstraction and encapsulation features and not retain any sensitive data once the transaction is completed to prevent unauthorized access. As RPA itself is a software, one should be able to handle when the application goes haywire and be safeguarded from any external sentinels, without any hindrance to the business workflow. To summarize, Robotic Process Automation has its own intricacies and pitfalls, once you have mastered the nuances the rewards are worth it. With proper planning and strategizing, automation can ease the overall management and prove to be highly favorable. A good Robotic Process Automation application reduces the monotony and employs the efficient use of human intelligence in other aspects to increase the productivity and scalability of the overall business within a shortest possible time. Techie by education. Writer by drive. Kalpana blends both her passion and academics by researching and writing about technologies driving digital change.